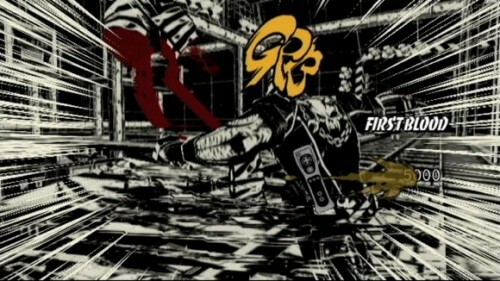 An eye-catching, monochromatic visual style that’s yet to be matched; and sense-shattering, bone-shredding violence. 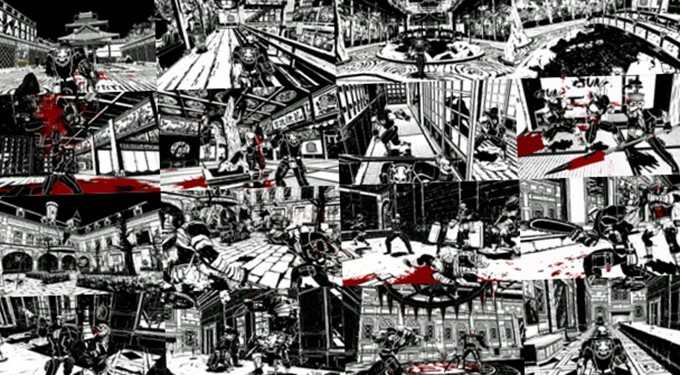 Experience a unique blend of brutality, humor and madness in a graphic novel-style world that’s black and white and blood-red all over. 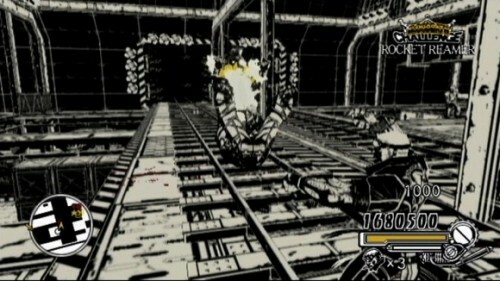 In sharp contrast to what you’ve come to expect on the Wii, MadWorld was available in American and European markets almost a full year before it was finally allowed in Japan. Welcome to Jefferson Island – a city cut off from the rest of the civilized world, and home of the brutally popular survival game show DeathWatch. This show is broadcast for a bloodthirsty elite’s enjoyment, and you’re its newest star. ““I had two conflicting goals: First of all, the lead character, Jack, had to be truly cruel; he couldn’t show any ambivalence about what he does. But at the same time, I couldn’t in good conscience endorse violence. I had to denounce it. I struggled for quite a while over how to reconcile these goals! After a lot of puzzling, I had an idea – why not make this contradiction itself part of the setting? 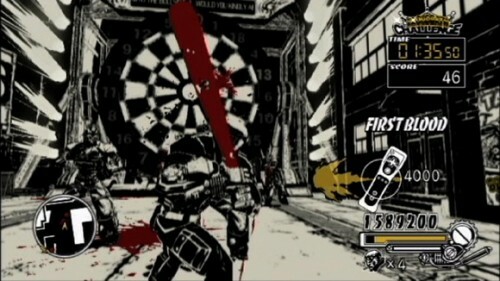 That’s how I came up with the idea of a typical city, suddenly overtaken and transformed into a staging ground for a brutal contest where violence is the only way to survive. 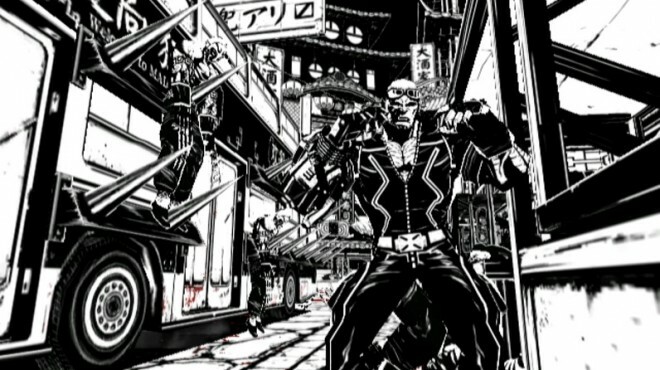 In other words, Jack’s actions are common sense in the cruel world of DeathWatch – but the existence of DeathWatch itself serves as an indictment of violence. 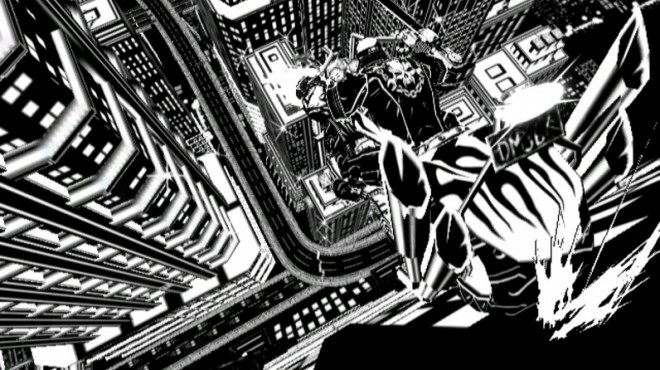 To capture the unique, gritty feeling of underground comics, everything in MadWorld – from its environments to the characters themselves – is rendered entirely in black, white and red. 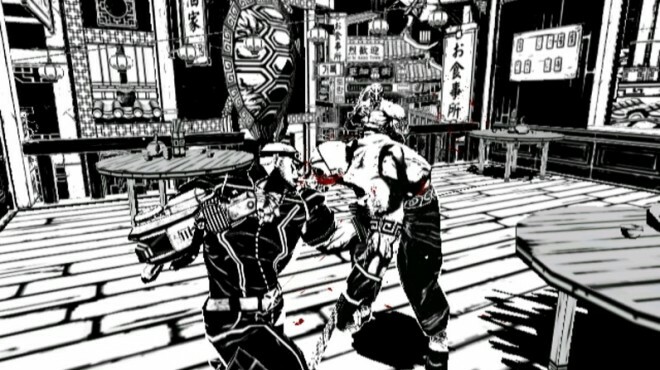 Monochromatic graphics are a rarity in video games. 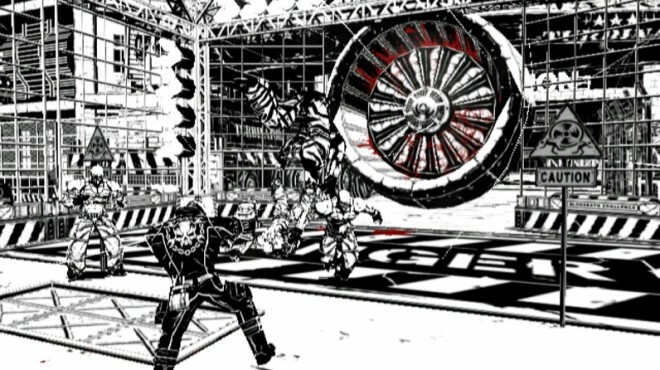 To create MadWorld’s unique visuals, we at PlatinumGames explored all sorts of methods, tweaking the contrast and visual balance over and over until at last we came upon a two-tone look that truly slays. The end result pops right off the comics page to grab you by the throat. 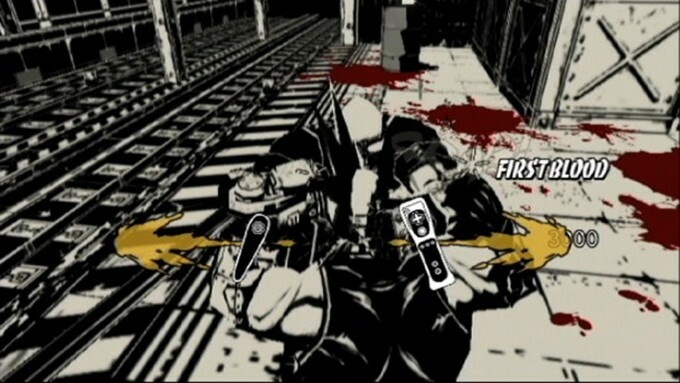 Take direct control of the mayhem with your Wii remote and nunchuck – that is, if you’re not afraid to get your hands dirty. 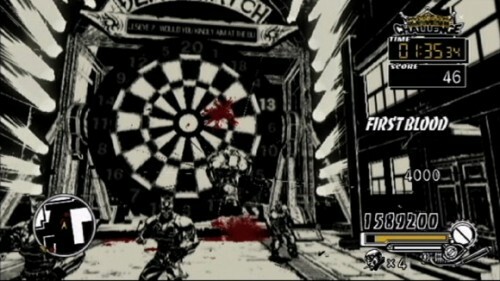 Spin the controller around to perform a devastating giant swing attack! 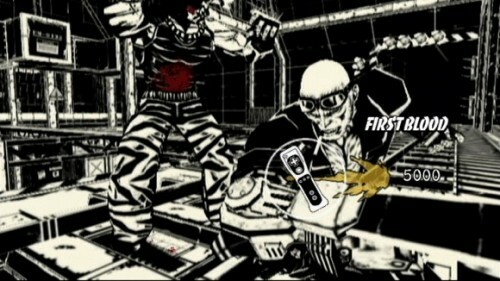 Slash the controller from left to right to cut your foes down to size with a chainsaw attack. 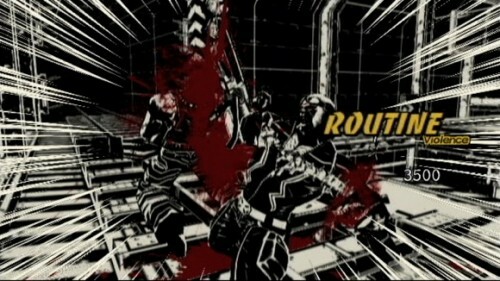 Pull the controller upwards to rip enemies’ heads clean off their bodies, spinal cord and all! 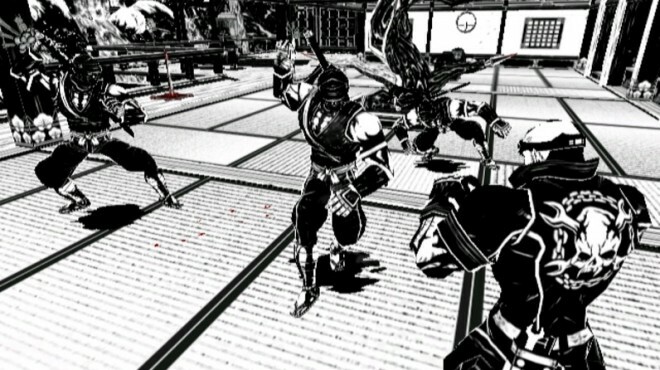 Swing the controller from right to left to send enemies flying with a deadly grand slam. Batter up! 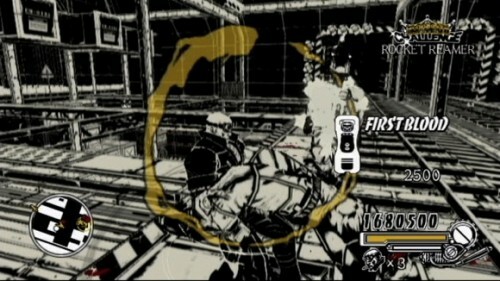 Front row seats to electrifying combat! Viewer ratings are the only law on DeathWatch – and if it bleeds, it leads. Contestants pour all their cruelty and creativity into their finishing blows to drive the crowd wild. Jefferson Island is packed with props and pitfalls that allow for an unspeakable variety of coups de grace – so get out there and give the people what they want! Contestants who rack up enough points on DeathWatch win a starring spot on the show’s most popular section: the Bloodbath Challenge! 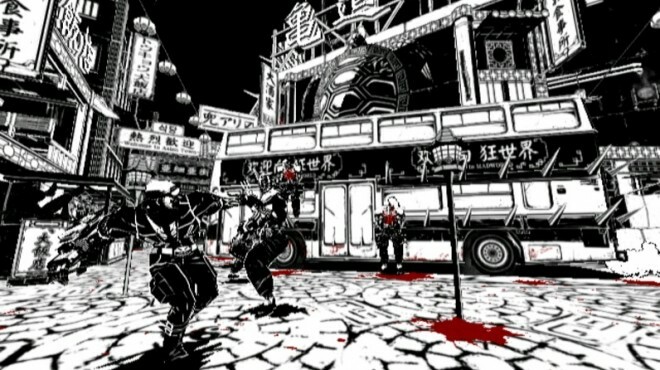 Bloodbath Challenges offer a bit more structure than the free-roaming mayhem of DeathWatch – but no less violence. 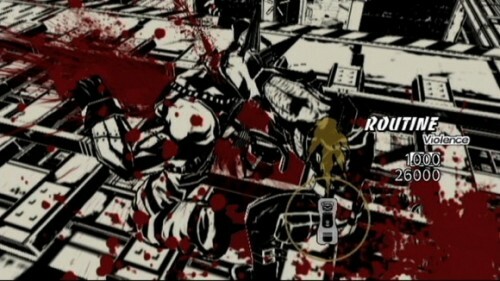 Master unique rules to earn points against outlandish, brutal backdrops in these bonus segments, hosted by the larger-than-life Black Baron and his fatal femme assistant Mathilda.